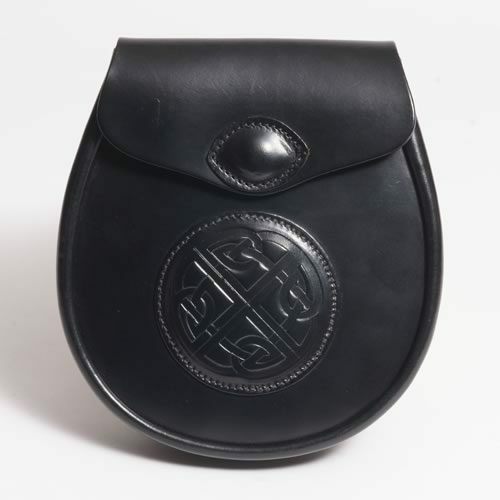 Bridle hide leather sporran with Celtic embossed leather overlay. Handmade using traditionally tanned British bridle leather, the Paterson sporran is an original McRostie design, featuring an embossed Celtic knotwork pattern taken from ancient stone carvings in the east of Scotland. 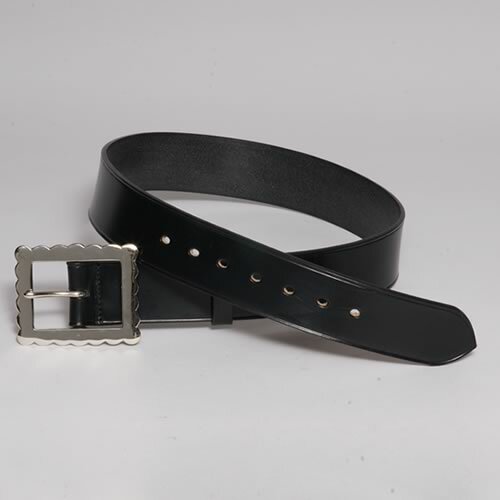 It is supplied with a matching leather strap and natural cotton dust or travel bag. This can be coordinated with a McRostie kilt belt to complete your Highland outfit.